The standard Mecha is here modified. The chest turret is still the same, but the arms and legs have been reworked .The pictures below are from a scratch model. The soldier wearing a power suit gives the scale. 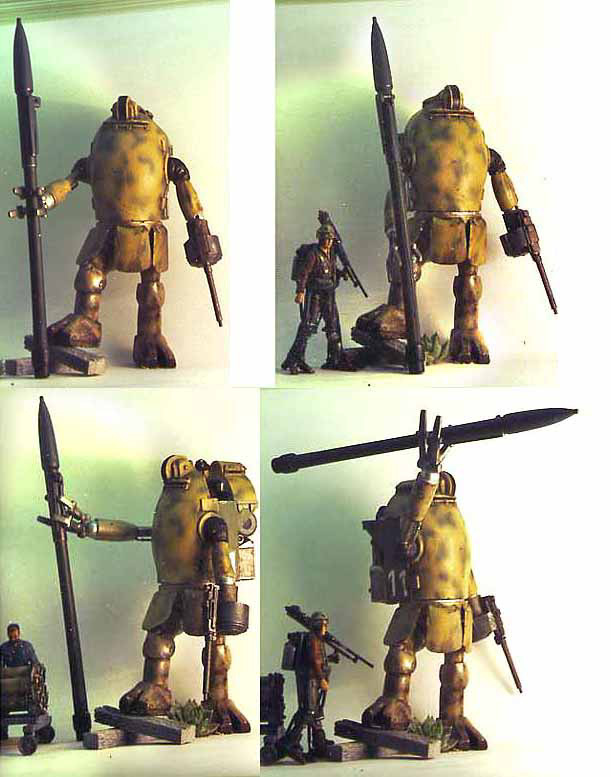 This mecha is armed with a 20mm gun with a circular round container. At the other hand he holds a 240mm grenade-lance, a long range anti-Citadel rocket .